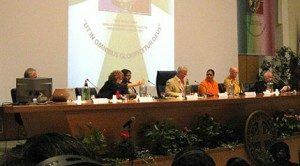 The Second World Oblates Congress was held in Rome, 2-10 October 2009 on the theme ‘The Religious challenges of today – the Benedictine answer’. Approximately 210 delegates attended from approximately 37 countries around the world, managed by a staff of 10 people. Some of the delegates have written their accounts outlining the talks and discussions given at the Congress, which are attached to links below. For my part, I was the National Coordinator for the delegates of the United Kingdom and Ireland and also a member of the staff of the Organising Committee. The number of volunteer staff was greatly reduced from the 2005 Congress, where there had been a staff of 45 people for 300 delegates. 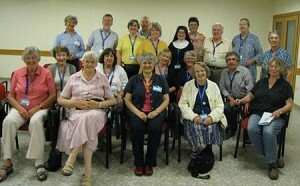 Back row: Pam Morey (Prinknash), Rev Christopher Rowley (Elmore), Elizabeth Napier (Stanbrook), Roger Burton (Ramsgate), Jennifer Smith (Ealing), Sr Benedict Gaughan (Minster), Marie Liveing (St Cecilia, Isle of Wight), Martin Lynch (Glenstal), Bridget Smith (Belmont), Sue Thomson (Prinknash). Middle row seated: Ann McCarthy (Glenstal), Paula Holmes (Douai), Geraldine White (Glenstal), Rev Kate Rosslyn-Smith (West Malling), Peter Stobart (Rostrevor) Front row seated: Isabelle Glover (Ealing), Margaret Coll (Pluscarden), Zina Neagle (Douai), Jeanette Morris (Belmont), Christine Dobson (Minster). Our days were very long commencing early in the morning and ending well beyond midnight each day, coping with many tasks and challenges like medical emergencies, accommodation issues, transport issues, additional tours, arranging the liturgy in different languages and performing administration tasks. On top of this Rome was having a sweltering heatwave which I found most difficult and exhausting. Despite these challenges, the Congress was a huge success. Oblates had interacted with each other very quickly and where one couldn’t speak a particular language, one soon got used to creating their own sign language to make themselves understood. Unfortunately, like everything else, the recession had an affect with the organising of the Congress. The fees for the Congress had been set approximately two years prior to the event and during that time the recession created huge price increases on everything – food, accommodation and transport in particular. 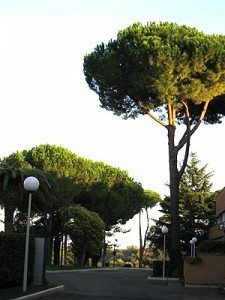 Rome is known for being expensive but everything was exorbitant even by London prices! Our exchange rate didn’t help either, with the pound being worth just over one euro. The Congress Organisers struggled to make ends meet and worked very very hard to avoid asking delegates for a price increase in fees. Working with the Organising Committee in Rome was a delight. I only knew one person on the team from the previous Congress, the rest were a team of volunteers thrown together from different backgrounds and countries. I am fortunate in that I speak fluent Italian and have good conversational French which was a great help and much needed with so few of us on the staff. At times we had to work fast and furious with constant last minute changes. I had been assigned the duty of being the main moderator to lead and liaise with the other national coordinators and was the official spokesperson in announcing all the changes each day. Even whilst standing on the podium about to speak, I was being handed last minute messages and alterations to the daily schedule. For someone who likes to be organised this felt like utter madness at times, but it all worked like clockwork and together we worked really hard! Behind the scenes there was much (healthy) banter, laughter and support which helped to relieve all our tensions, and most touching was the spiritual bond between us. The practice of St Benedict’s Rule was carried out with much love, humility and obedience, and it was wonderful to be a part of this. During the Congress the Abbot Primate, Notker Wolf, met with the national coordinators from each country to discuss various issues concerning the future for oblates. He intends to write to all the abbots and abbesses to begin a consultation process. 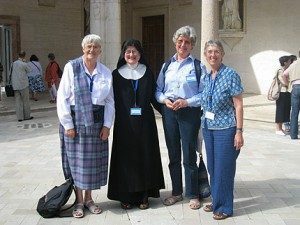 Abbot Notker commented on the need for oblates to be willing to gather and interact with each other; ‘we must be virtuous and must not hide our talents’. 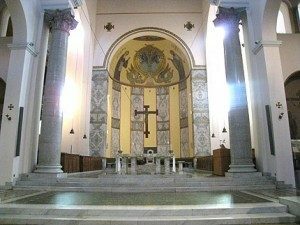 The idea is to ‘streamline the world of oblates in some way and to make us living bridges of spirituality and culture’, by perhaps creating a confederation of some sort which would be ‘a light, federalised structure inspired by monasteries’ but which would not develop into any form of centralisation. 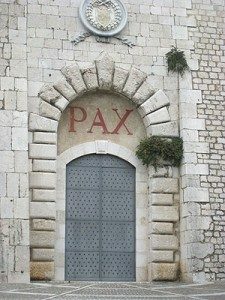 Maintaining the Benedictine ethos is most important and a balance is required. This structure would have to be something flexible for people living in the world. Abbot Notker continued ‘We can die from too much autonomy’. ‘If we are people of God, other people will experience God through us’ and they will see that ‘we are a noble people with daily problems, people of hope and love’. 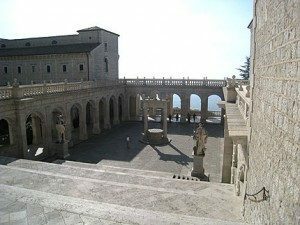 The Primate felt strongly that formation and education of oblates was of primary importance and that the ‘lacuna’ – ‘the gap’ – must be bridged between oblates and monks/nuns. He talked about having a ‘theology of oblation”. Formation should be done on a local, regional and national level. Programmes can be put on the internet. 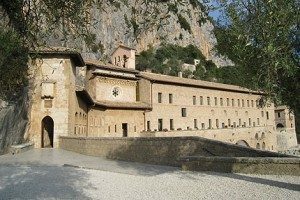 Some monasteries already have well organised formation programmes and some are available online. For example, St Vincent’s Archabbey – http://www.osb.org/sva/obl/pdf/OblateFormation.pdf; or the Monastery of the Ascension http://www.idahomonks.org/manual.htm. My own monastery, Douai Abbey, has been using, with their permission, a programme from St Meinrad’s monastery in Indiana, in the United States. 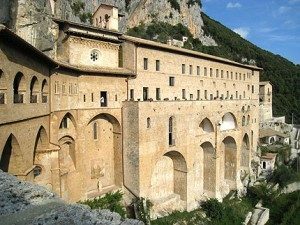 Other monasteries are not so well organised, and it was suggested that some analysis work be conducted to identify what is done in different monasteries. 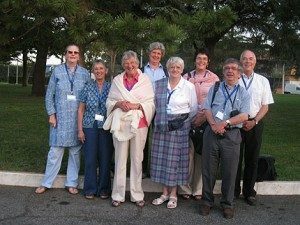 It was considered to be a good idea to have a general formation programme for new oblates, although some national coordinators felt not so much a programme but a ‘process’. 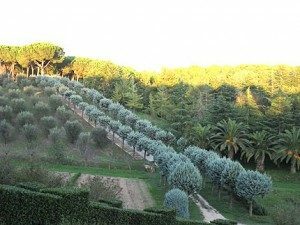 It was also suggested to have a deeper development programme for people who have been oblates for a very long time and a refresher programme for lapsed oblates. The Primate ended ‘we must study the ways in which not to waste the richness of these two World Oblates Congresses’. He made a strong statement about using the internet as a tool. 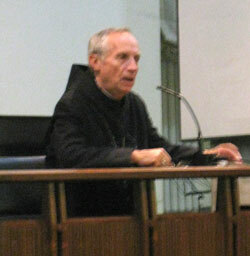 He believes websites are the way forward for communicating and distributing information, and that each nation should have a website for oblates, for with regard to living in these modern times he says, ‘he who is not on the screen does not exist’. I am happy to say that we are one of the first countries, if not the first country, to have a national website for oblates. To find out more about the Congress and the talks that were given by key speakers, please read the following reports from some of the delegates who attended. 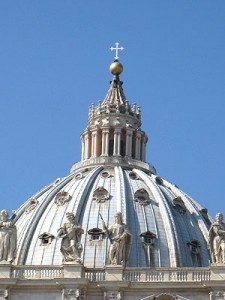 Two of the congress papers are now available on the Congress website www.benedictine-oblates.org. The remaining talks were recorded live and will be posted on the site once they have been transcribed and translated into the five main languages that were spoken, English, Spanish, German, Italian and French. Finally, I would like to say what a privilege and honour it was for me to participate in working behind the scenes both during the 18 months leading up to the Congress and during the week that I was in Rome. I learnt an awful lot and was delighted to be able to offer all my skills to serve the Lord in this way. I have met many wonderful people and have made several new friends. 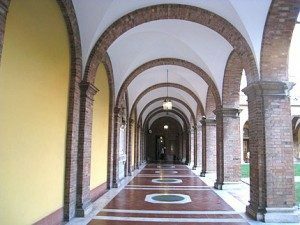 Looking back, I can see how much we all belong to one big Benedictine family and whereas I consider oblates from my own monastery to be my ‘family’, I consider oblates of other monasteries to be my ‘cousins’. With Christ at the centre we are all One.